I’ve been reading a very creatively written and passionate new book called My Generation: A Real Journey of Change and Hope by Josh James Riebock (Baker; $14.99.) This young writer, full of verve and interesting stories, and some very raw and honest language (it’s not for the faint of heart) is telling us about how God wants us to come alongside the hurting, to befriend the friendless, hang out with the outcasts, including those who, for whatever reason, feel distant from God and the church. Mostly, it is a book about the edgy side of the 20-something Gen Y and although the stereotypes are in full bloom—goth kids, digital kids, neo-hippy fair-trade coffee sippers, party types—he does do some helpful explanations of the demographics of the millennial gang. A few particular insights will stay with me, I’m sure. I love this kid’s passion and his really clever style. He’d be a fun guy to hang out with. And I appreciate his sure conviction that hope must come “with skin on” as he shows how to reach the gritty youth of today, and that that may take some new attitudes for all of us, older and younger. Not surprisingly, one reviewer called this “compelling authenticity” and, despite the humor, My Generation speaks with great seriousness of the healing power of community. It seems to me that, these days, certainly among the younger generations, nearly everyone knows that the quest for more authentic relationships and true community is one of the sure heart-cries of our time. Ha. Just this evening as I was pondering this I got a note from a (20-something) friend lamenting that everybody in his social circle (I almost said “community”) talks about community, but few really define it. Yep. When we speak of our community, we may mean our neighborhood, our friends, our congregation. Some of us even “do life together” with a small group of most trusted friends; some even move near one another, becoming an intentional community, almost like monks or nuns do. Within the last few months several customers asked about books on how to move towards this kind of intentional community. Most of us aren’t involved in that kind of house-holding, but anyone who attends a church hears about their own “faith community” and should be working towards what some call “body life.” That is, functioning as “the body” (to use New Testament language.) That is, churches ought to be more like a community. Here are a few titles I described for one of our customers. Do you think that your “faith community” might benefit from reading a few of these? ideas. Nice new cover, too. theology/sociology by looking at space(s). creative stuff. I think you’d really like it. harmony. A great Bible study on an obviously great portion of Scripture. Very valuable. Paul’s Idea of Community: The Early House Churches in Their Cultural Settings Robert Banks (Hendrickson) $16.95 Okay, this may be a bit academic for most, but it really is a classic. This is a revised and expanded version and helps us understand much of the cultural setting for the earliest Christian practices. focused on real “body life” and community. A classic. Introverts in the Church: Finding Our Place in an Extroverted Culture Adam McHugh (IVP) $17.00 Just when I thought that there really couldn’t be much else written about the local congregation and doing church, along comes–rather quietly, and belatedly, since he’s an introvert—this spectacular new book by an ordained Presbyterian minister who is a spiritual director and introvert. This isn’t a gag or a light-hearted spoof, but a very serious study of community, graciousness, hospitality, and how some among us find it very challanging to be active in a noisy, outgoing, active congregation. Who knew? Marva Dawn insists on the back that “this is a book that every church leader should read!” McHugh explains how we overlook or misunderstand the contributions of many introverted church members. This is a book for all congregational folks who want to be more hospitable to the Meyers Bringgs T-types, and for all introverts who find human interactions each Sunday to be tense and taxing. A great resource for anyone interested in relationships, parish life, or Christian community. writing. Often cited, very important. a bit more about church-planting than community as such..
in the New Testament and explores what they might mean for deepening community. School(s) for Conversion: 12 Marks of a New Monasticism edited by The Rutba House (Wipf & Stock) $22.00 A number of folks from intentional communities gathered to discuss the development of counter-cultural “new monastic” experiments “at the edge of Empire.” This, obviously, is something different than your typical First Church on Main Street. They came up with these 12 marks, and each chapter is really worth reading. A couple of the writer’s are well known and others have not bee published before. They are all living out this vision, and have great depth of insights. 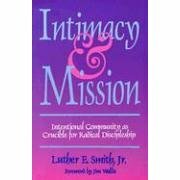 Several of the chapters are directly about shared life, living in intentional proximity, and others are about economics, handling family, marriage and singleness, stuff about submission, a common rule of life, etc. It may be unusual for many church folks to hear this kind of talk, but it really, really is exciting stuff. the Kingdom, and the need for faith communities to be, well, connected. I’ve not been one to predict the future. For instance, I remember seeing one of the first minivans and thinking, “They’ll never last.” But in this case I think I was on to something.